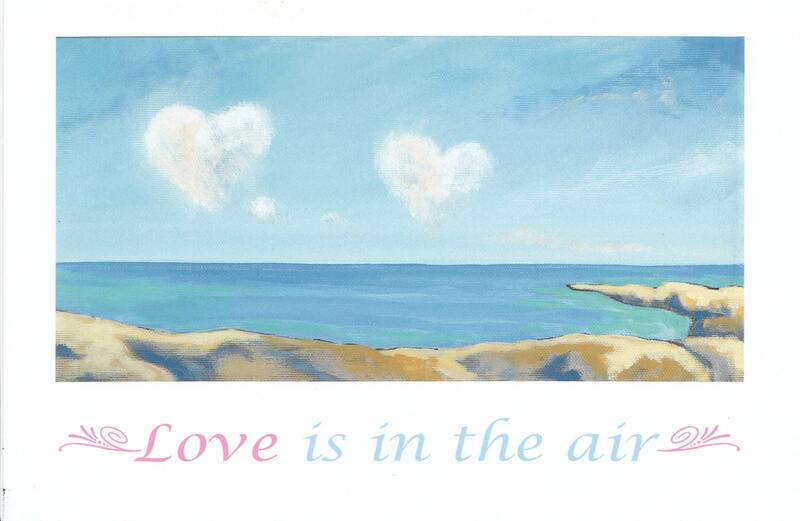 Now offering my love clouds in this larger format with text. I've added a bot of sparkle to the clouds for a little extra magic! The card is blank for your own thoughts and words. Great card for any love occasion. Each card measures 5" x 8" and comes with a white envelope in a cello sleeve.